The benefits of plant polyphenols are well known to health enthusiasts. These natural plant constituents block oxidative damage that leads to inflammation and accelerated biological aging of tissues. Recent studies by three separate laboratories have concluded that polyphenols extracted from apples extend life span in laboratory models by up to 12%. Apples and especially their skin, are rich in an array of polyphenols. One particular major bioactive polyphenol, phloridzin, found in the skin of many apple species, has been shown to act as a powerful agent against glycation and other destructive processes in the body. 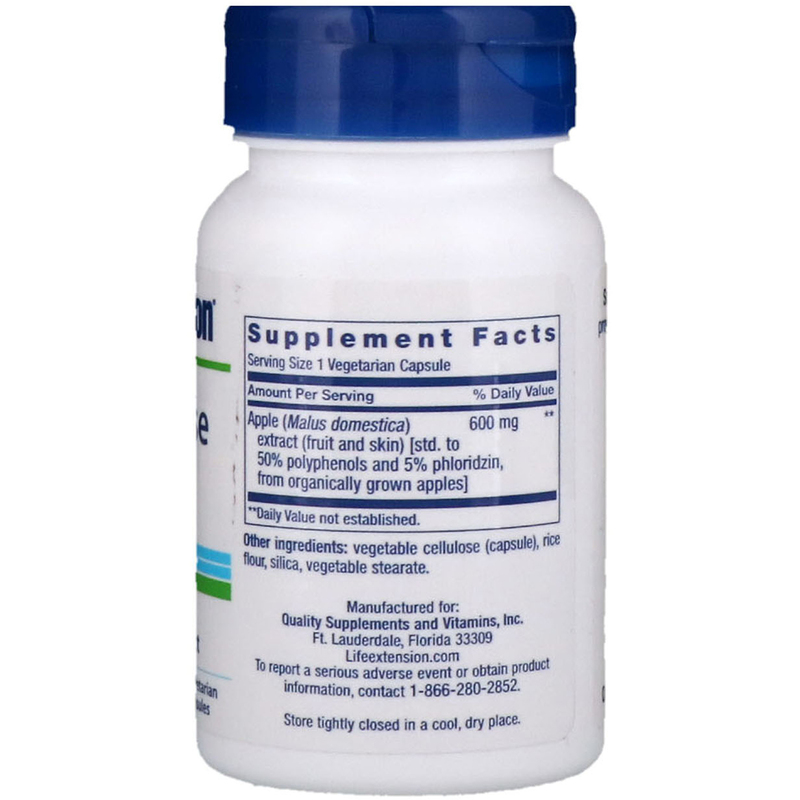 Phloridzin also regulates cell-to-cell signaling and supports healthy glucose levels in those already within normal range by inhibiting the glucose-6-phosphatase enzyme. 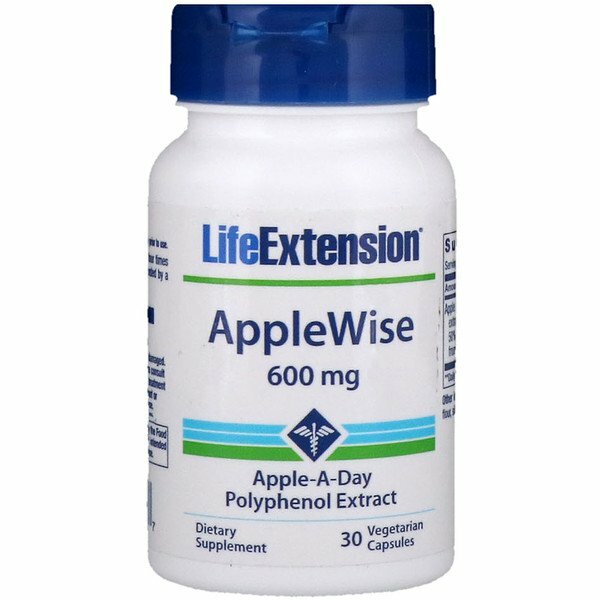 Additional research has shown that apple polyphenols can increase the protective antioxidant molecule, paraoxonase by as much as 23%, thereby inhibiting lipid peroxidation and inflammatory factors. Along with phloridzin, apples contain chlorogenic acid which supports healthy glucose levels in those already within normal range by inhibiting the glucose-6-phosphatase enzyme, and by increasing some cellular mechanisms that are stimulated by insulin in liver cells. Vegetable cellulose (capsule), rice flour, vegetable stearate.